A high quality non settling blended material, has mildly abrasive perfumed cleaning properties. Non hazardous. 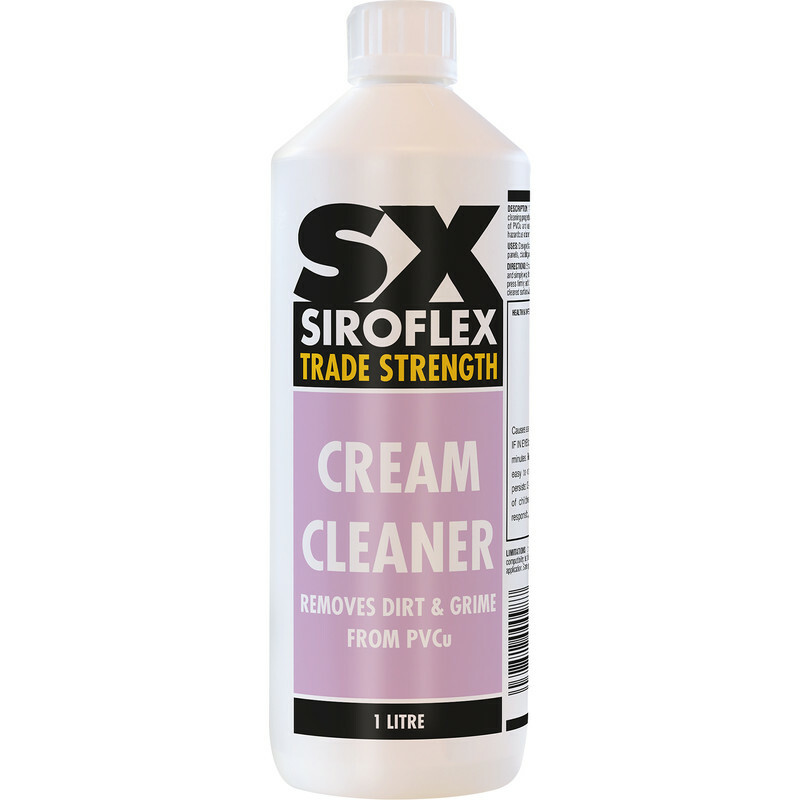 PVCu Cream Cleaner 1L is rated 5.0 out of 5 by 7. Rated 5 out of 5 by Jackieathome from It Works! I bought this last week, together with the solvent cleaner which I bought just in case. My windows are quite new but the frames had become very yellowed with pollen and traffic pollution over a very short time no doubt worsened by the hot weather. Even though they are cleaned monthly, they now looked terrible and I thought would never come clean again. Got up very early and started at one end of my 12’ window. I could see it was starting to work but not immediately and only after a lot of rubbing. I completed the length and then went back over a second time. Although it was hard work, I’m really pleased with the result. I also gave the frame a final wipe over with clean water. Great product and great price. Also amazingly speedy service from Toolstation. Arrived within 24 hours of placing the order.